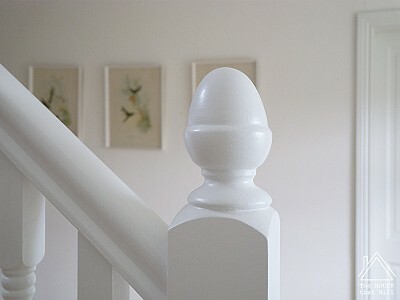 Today I'm sharing how we added character and made some improvements to our staircase, proving that you don't have to live with something you don't like, even if it's a major architectural feature in your home. 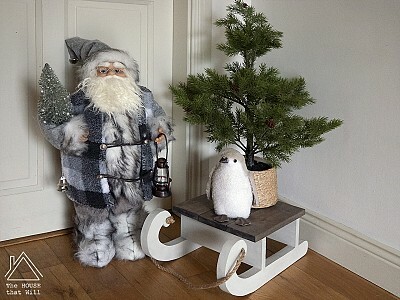 This mini sled ornament is the perfect addition to any seasonal vignette, and making it was a lovely little project for a novice woodworker like myself. You do need a few tools, but nothing more exotic than a jig saw and drill. 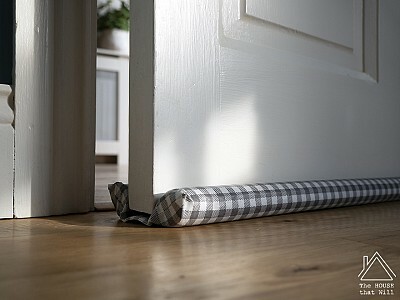 With winter closing in, this is a practical way of keeping draughts at bay without compromising the decor of your room. It's super easy to make as the only skill required is the ability to sew in a straight line! At a time when most people are knocking out walls with a sledgehammer to facilitate open-plan living, it may sound unusual that we wanted to build a wall to close in our loft. 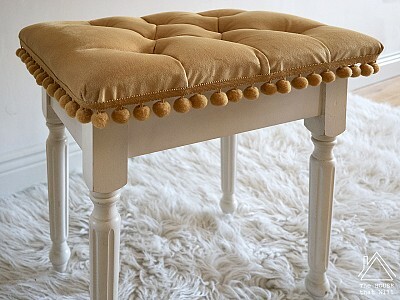 Tufted upholstery is one of the most luxurious kinds of soft furnishing I can think of - especially when it's in velvet. I had wanted to try my hand at tufted upholstery for ages, but could never quite get the hang of it until I literally uncovered the secret while upcycling a dressing table stool. A striking feature in my €75 Boys' Bedroom makeover was the custom toy box that Hubby and I made for the room, and today I'm sharing all the details so that you too can make your own. 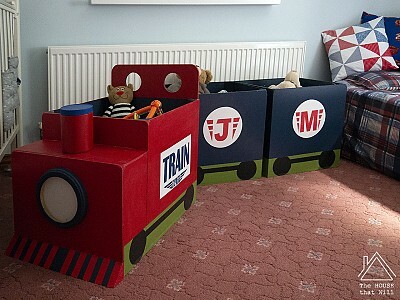 The three-year-old boy in this house is crazy about trains, so that's what I modelled this toy box on. However these toy boxes can become anything you or your child likes, from a fairy castle to a pirate ship and everything in between. The only limit is your imagination! This has been one of my most asked-for posts ever! 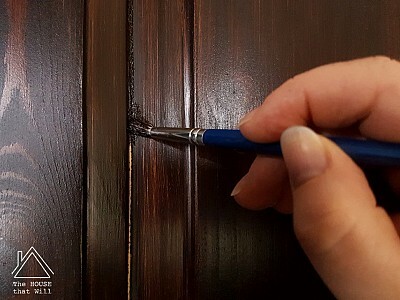 Whether you want to DIY or hire someone, I discuss both the aesthetic and practical factors to consider when installing wall panelling in your home. 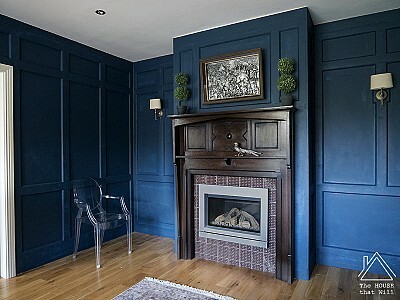 From choosing styles and planning layouts to the all the DIY details, this is my all-you-need-to-know guide to wall panelling. 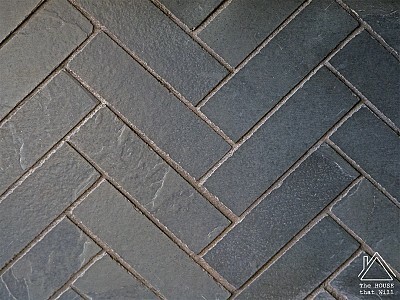 A major feature of our DIY Stone & Slate Fireplace was our herringbone slate mosaic tiled insert. They are exactly what I wanted and, even though we had to DIY them, the process is relatively straightforward ... and involves Lego in an unusual way! 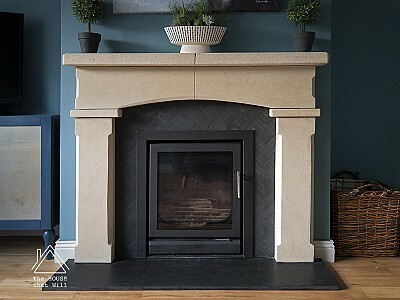 One of the scariest DIY projects we've undertaken for a while was this stone fireplace, as neither Hubby or I had ever worked with stone before. Plus, our salvaged second-hand fireplace was already in a fragile condition when we got it. Thankfully, it all turned out well, and I hope that my sharing it will inspire you to be bolder with your DIY too! There are a lot of steps involved in making a Roman blind, and it does take a bit of time. But the good news is that there isn't anything complicated involved - if you can sew a straight line, you can make a Roman blind. 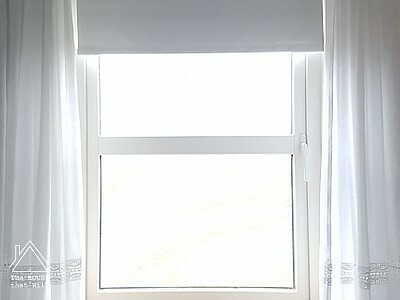 With that reassurance in mind then, let's go through what it takes to make a really professional-looking Roman blind. 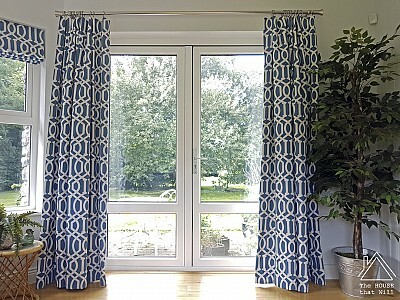 Curtains can really be the crowning glory of a room. 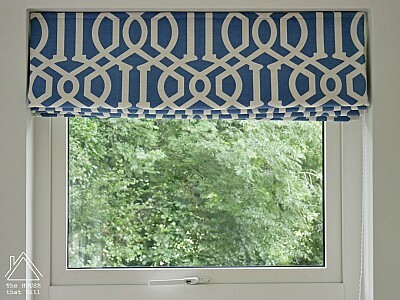 Good quality ones are surprisingly expensive to buy, and even more so for custom-made drapes. On the other hand, if you can sew a straight line, they are relatively easy to make. Here's how .. This is my favourite thing I've made recently! 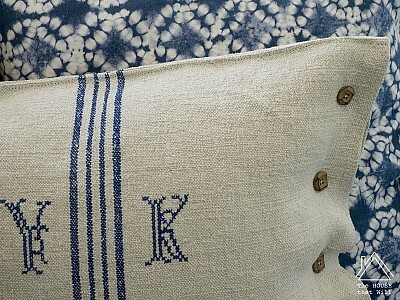 I know it's just a cushion cover, but the fact that it's made from an antique grain sack makes it extra special to me. Grain sacks are widely used as a textile in the States, especially in what is known as "farmhouse" decor, and they are growing increasingly popular here too. 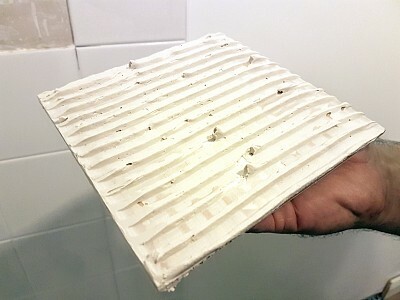 A cracked tile is not only unsightly but, in certain areas like a shower, can be detrimental to the very structure of a building as any moisture that makes its way through can lead to mould or rot. Not good! 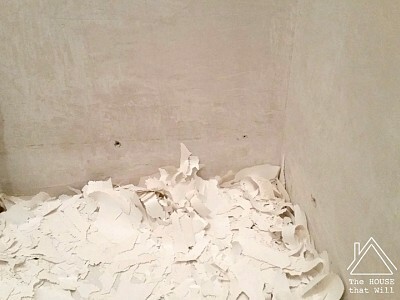 Thankfully, replacing a broken tile is a relatively quick and easy DIY. 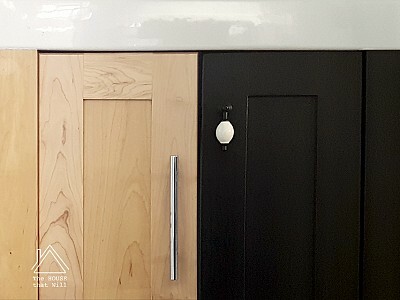 Paint has an incredible ability to transform anything it touches, which is why I chose to paint the sink unit (vanity) in our guest ensuite: the maple sink unit had been vandalised by a plumber when he drilled a hole in it without our permission ... and then tried to hide it. Seriously, I couldn't make this stuff up! 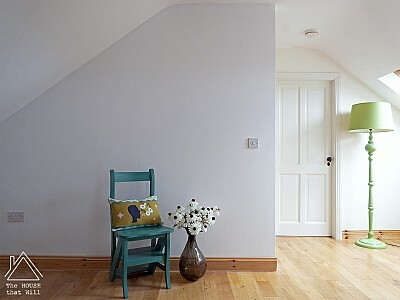 Smaller, lesser-used rooms are a great place to experiment with home décor. I've done it by going dark in our Loo, trying pink (a colour I never thought I'd have in the house!) in our Guest Bedroom, and most recently by painting a coloured ceiing in our Guest Ensuite. A lot of what I do here at The House that Will are big schemes that take quite a while to unfold, but I'd also like to share with you some little projects that I do from time to time which, although small, play an important role in making our house a home. Personalising everyday objects are a great way to make a space unique. 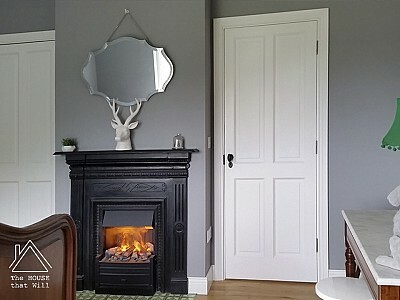 I posted a tour of our Master Bedroom last week, and there has been a lot of interest in our DIY fireplace ever since, so I decided to dedicate a full post to it. It's one of my favourite projects we've ever done, and I'm excited to show you how we did it. 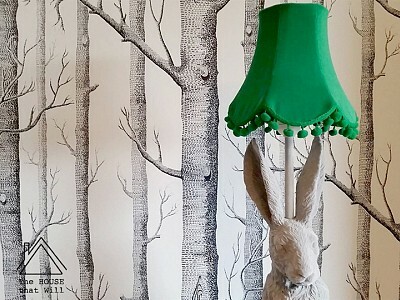 For our sitting room makeover, I want to create a cosy, rustic-style room that celebrates the wonderful wildlife that visit our garden. 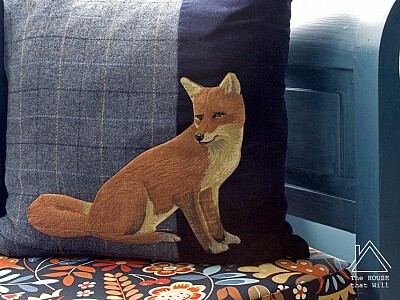 To include the local foxes that are a constant feature of our landscape, I appliquéd this fox cushion cover by hand using a very simple technique. 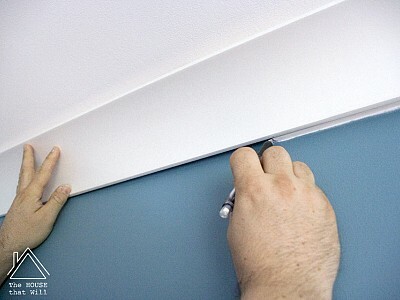 Part-way through our sitting room makeover, I had the bright idea to install coving. And I'm so happy we took the time to do it. It's such a great feature in the room, but there are lots of different types out there, so it's important to do your research. 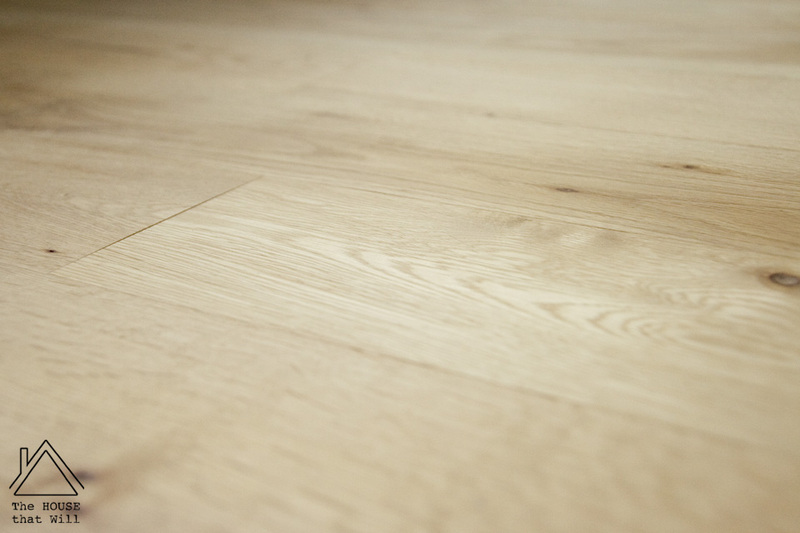 The original finish on our oak floors has started to show serious signs of wear in the high-traffic areas of our house, particularly in the hallway and sitting room. 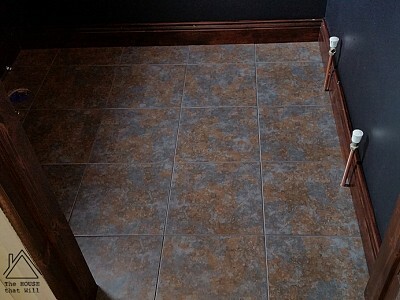 The medium-term plan for the hallway is to replace it with tile, but we decided to refinish the existing floor as part of our sitting room makeover. 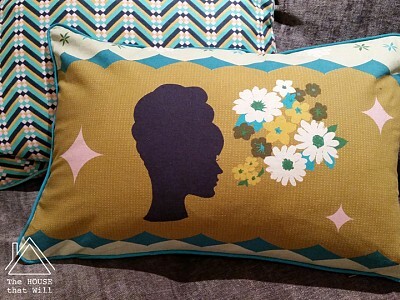 Having already posted about how I make my cushion covers with piping, I decided to write a post about how to make one without piping because, although the goal with both is to hide the zipper, the method I use to insert the zipper is different for each. 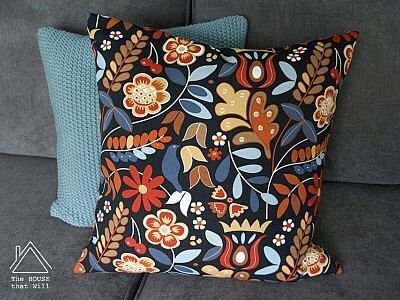 I spent yesterday sewing up a couple of scatter cushions (throw pillows) using some of my favourite fabrics from my fabric stash. The cushions are for a sofa bed in our loft that we sometimes use as extra guest accommodation, and I am using the cushions to help pull together a very eclectic colour scheme in the room. Not all projects in the house are glamorous! 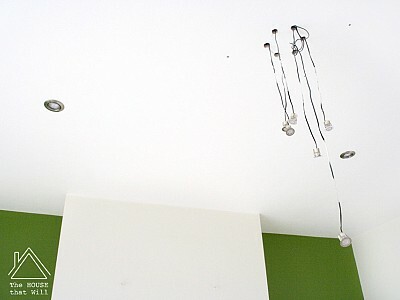 This one, however, is a very necessary one and it's a pretty straightforward DIY, as you will see. 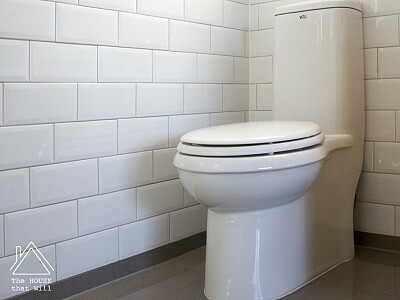 Here's how we (and by that, I mean Hubby) installed a toilet in our ensuite. 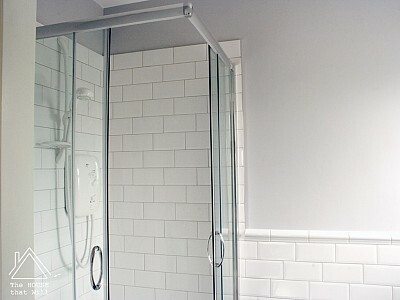 Tiling a wall may seem like a daunting task, but with some careful preparation, it's a very doable DIY project. 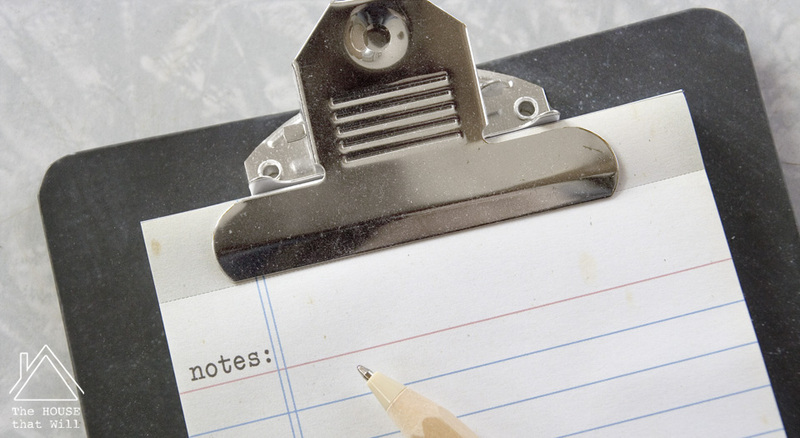 This step-by-step guide talks you through the process from start to finish. For this project, I use subway tiles in a staggered pattern but, with some modifications, the process is the same regardless of the tiles or the pattern you choose. 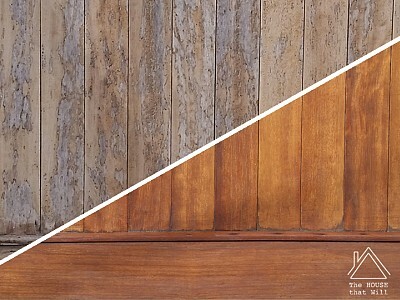 One of the things we really liked about our house when we first viewed it was the exterior woodwork. But we made one mistake that almost cost us our gorgeous iroko. Thankfully, with good advice and the right products, we did manage to save it from the bonfire. 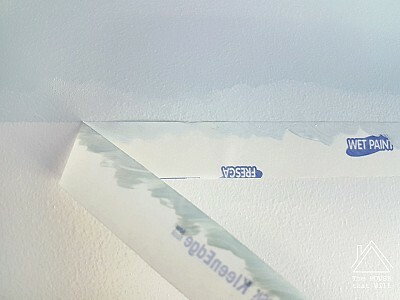 It's time for a really exciting part of our Guest Bedroom Makeover! 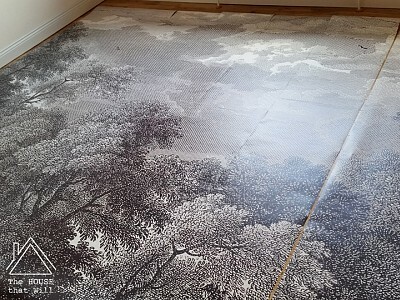 I am very happy to be moving on to something that I actually enjoy doing: hanging wallpaper. 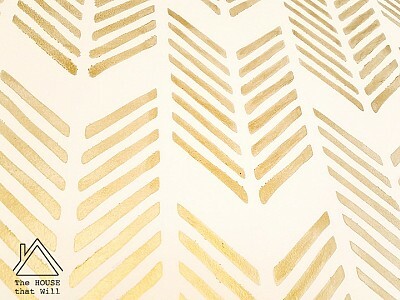 I am using a beautiful wallpaper mural called Etched Arcadia from Anthropologie to create a feature wall behind the bed. 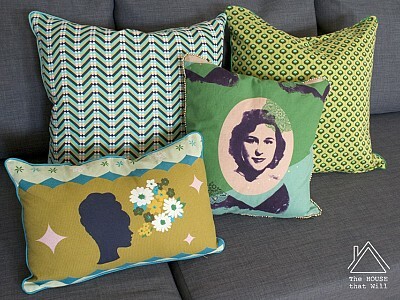 I love making cushions (throw pillows) for around the house! 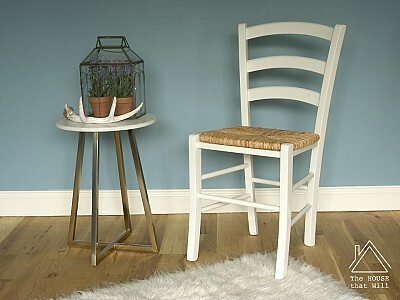 They are an easy way to introduce colour, pattern, and fun to your décor without a big investment. 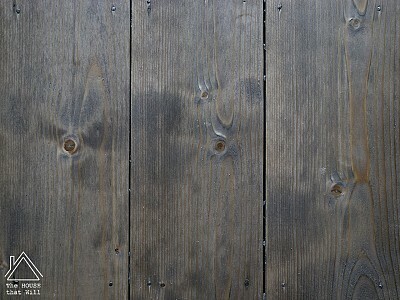 And they can be mixed and matched in various ways for a completely new look. Being able to make your own also means that you have the option of using any fabrics you like for a completely individual look. Hurray! Finally the day has arrived where we get to make the one change to this room that was the reason we wanted to renovate it in the first place: the floor tiles. 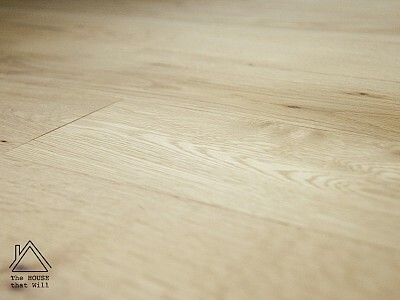 I have done a lot of tiling over the years, so today I'm sharing my top DIY tips for laying floor tiles. The first day we viewed our house, I decided that the knotty orange pine had to go. Replacing it is just too big and expensive an undertaking, so instead it's getting a makeover. Watch as its tall, dark and handsome side is revealed! 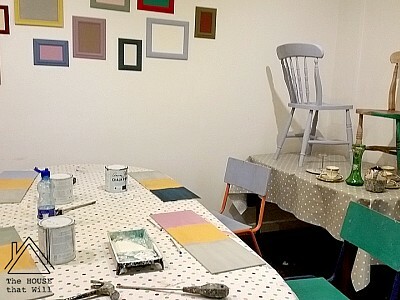 Painting a wall seems like the simplest DIY job you can do, right? Most of the time, that's true. But there are also times when it can go horribly, horribly wrong ... and I'm not talking about that time the dog found the paint can!